The bestselling author of Super Sad True Love Story returns with a biting, brilliant, emotionally resonant novel very much of our times. Narcissistic, hilariously self-deluded, and divorced from the real world as most of us know it, hedge-fund manager Barry Cohen oversees $2.4 billion in assets. Deeply stressed by an SEC investigation and by his three-year-old son’s diagnosis of autism, he flees New York on a Greyhound bus in search of a simpler, more romantic life with his old college sweetheart. Meanwhile, his super-smart wife, Seema—a driven first-generation American who craved the picture-perfect life that comes with wealth—has her own demons to face. How these two flawed characters navigate the Shteyngartian chaos of their own making is at the heart of this piercing exploration of the 0.1 Percent, a poignant tale of familial longing and an unsentimental ode to what really makes America great. Gary Shteyngart is the New York Times bestselling author of the memoir Little Failure (a National Book Critics Circle Award finalist) and the novels Super Sad True Love Story (winner of the Bollinger Everyman Wodehouse Prize), Absurdistan, and The Russian Debutante’s Handbook (winner of the Stephen Crane Award for First Fiction and the National Jewish Book Award for Fiction). His books regularly appear on best-of lists around the world and have been published in thirty countries. 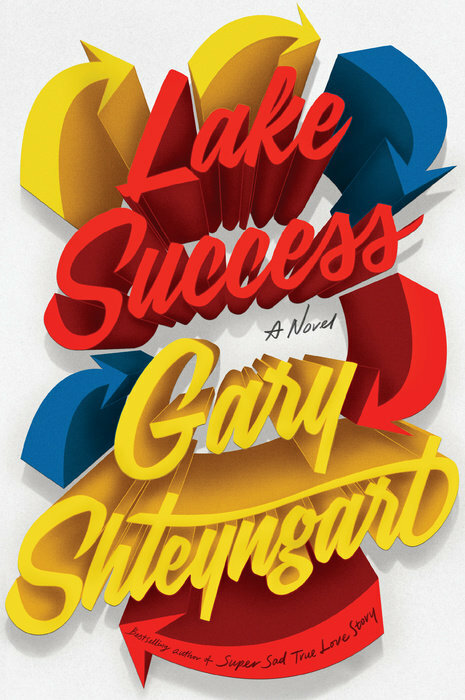 To inquire about booking Gary Shteyngart for a speaking engagement, please contact the Penguin Random House Speakers Bureau at speakers@penguinrandomhouse.com.